The chain of falling domino's keeps going and the latest piece to fall is the president of the Mongolian FA, Ganbold Buyannemekh. Ganbold Buyannemekh is the latest official to be linked former FIFA executive, Mohamed bin Hammam. He has been banned for five years for “soliciting and accepting” bribes from Mohamed bin Hammam, in what can only be, one more page on a book that is nowhere near its end when it comes to names inside and outside of FIFA that have been involved in illicit activities. 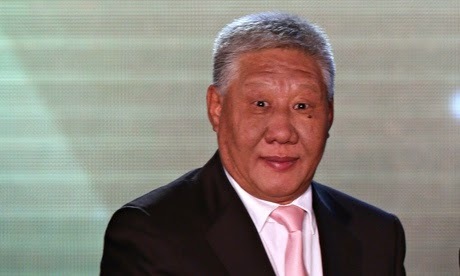 The Mongolian FA president and former Asian Football Confederation’s executive committee member, accepted payments from Bin Hammam, in order to support his campaign for FIFA president back in 2011. He also took payments back in 2009 to help Bin Hammam secure enough votes to gain a spot in FIFA’s executive committee, which he indeed did by defeating Sheikh Salman bin Ebrahim al-Khalifa by a 23 to 21 vote. Bin Hammam has been banned for life for his involvement in several bribes and attempt to bribe officials. The names will continue to come out as investigation and pressure on FIFA forces them to act and at least look like they are attempting to clean up their house, in what could end up being one of the dirties organizations on the planet. The beautiful game, as so many refer to it, has been contaminated with less than beautiful schemes and operations that leave us all wondering if anyone at FIFA is even “clean” enough to throw the first stone. 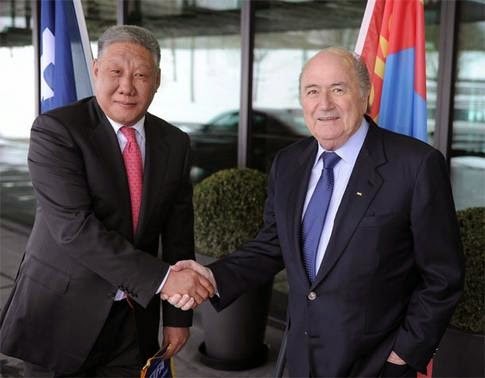 While FIFA has taken action and banned the Mongolian FA president for five years, stronger and more substantial punishments should be given out to those that have taken part in these illicit activities. Five years is not enough for someone that has soiled the name of his federation and the people he represents. It seems that crimes committed in the footballing world are accessed a different degree of severity of those that are equal to it but conducted in our day to day life. Not only the punishment doesn’t fit the crime, the morality of those judging is perhaps as tainted as those being judged. Maybe someday we will understand and know the full extent of these backroom deals, but for now we have to be content with the few breadcrumbs that are thrown our way.